It’s my husband’s 33rd birthday today! Happy Birthday, babe! I love you! 🙂 Of course his baker wife had to make him SOMETHING. And he loves peanut butter! 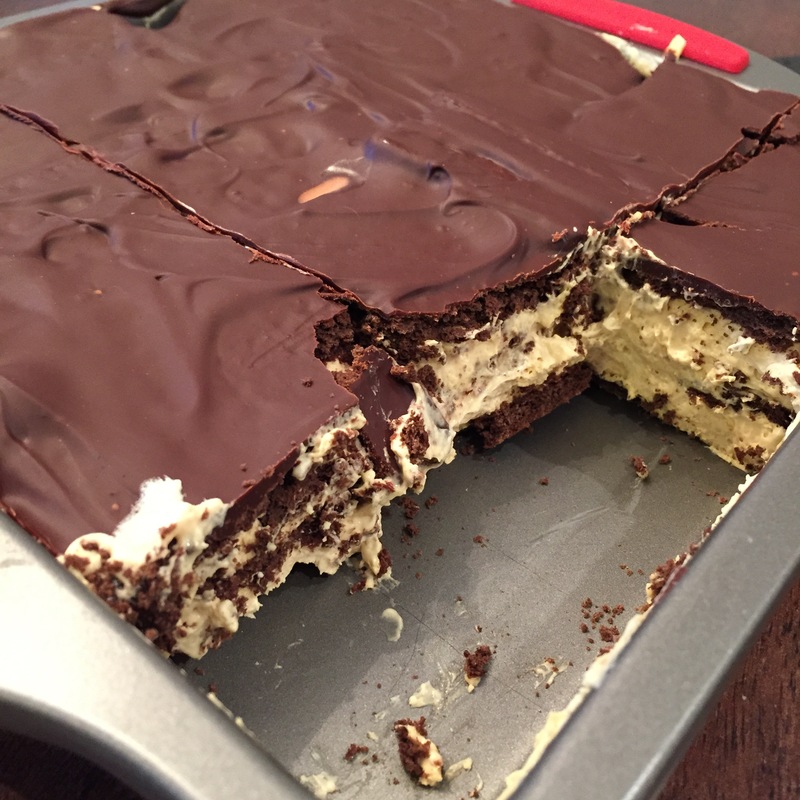 I was going to bake him a cake but he suggested I make this eclair cake instead. He’s not a big cake fan, unlike me who can eat an entire cake in one sitting. Disgusting, but delicious all at the same time! Chocolate and peanut butter come together in this no-bake eclair. 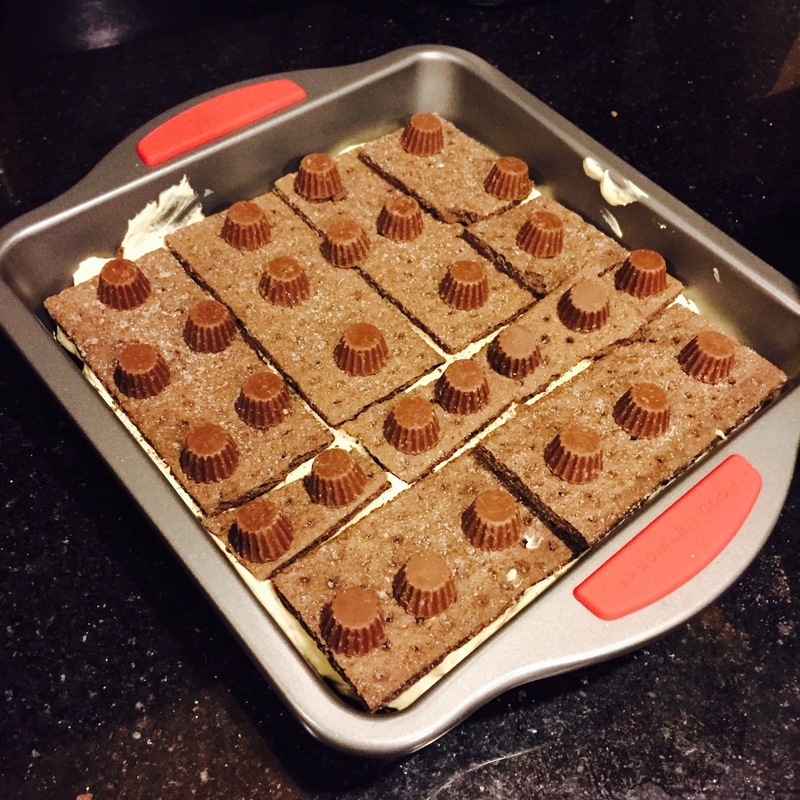 Oh, and Reece’s peanut butter cups. Yum. 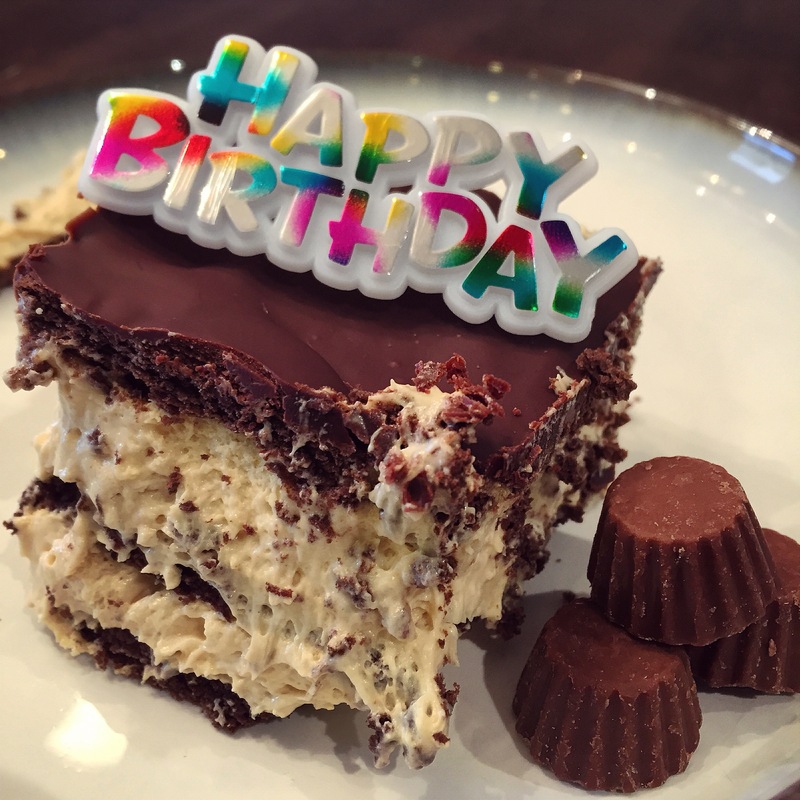 So here we go… Off to make a birthday eclair! Tip: I suggest making this the night before you serve it. It needs to be refrigerated so the graham crackers will become soft and the chocolate frosting to firm up. In a large bowl, beat pudding mix and milk until there are no lumps. Beat in peanut butter until smooth. Fold in the Cool Whip and set aside. Layer graham crackers on the bottom of a 9 inch square baking dish. Top with half of the pudding mix. Make sure it is even. Top with more graham crackers and then evenly place Reece’s over them. Smooth the remaining pudding mixture over that, and then top with more graham crackers. Place in fridge while you make the frosting. In a heatproof bowl, melt chocolate and butter over a pot of simmering water. Stir constantly. Remove from heat and stir until cooled slightly. Pour evenly over eclair. Refrigerate overnight, slice, and enjoy!